E-commerce, and E-Learning, in all academic disciplines. Milan is the second-largest city in Italy and the capital of Lombardy. The city proper has a population of about 1.35 million, while its urban area is the 5th largest in the EU and the largest in Italy with an estimated population of about 5.2 million. The massive suburban sprawl that followed the post-war boom of the 1950s–60s and the growth of a vast commuter belt, suggest that socioeconomic linkages have expanded well beyond the boundaries of its administrative limits and its agglomeration, creating a metropolitan area of 7-9 million people. 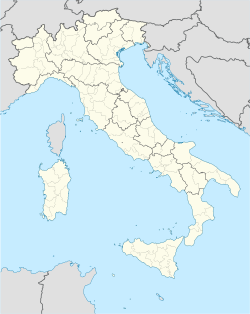 Italy is a unitary parliamentary republic in Southern Europe. To the north, it borders France, Switzerland, Austria, and Slovenia along the Alps. To the south, it consists of the entirety of the Italian Peninsula, Sicily, Sardinia–the two largest islands in the Mediterranean Sea–and many other smaller islands. 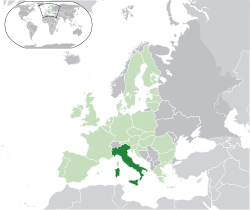 The independent states of San Marino and the Vatican City are enclaves within Italy, while Campione d'Italia is an Italian exclave in Switzerland. The territory of Italy covers some 301,338 km2 (116,347 sq mi) and is influenced by a temperate seasonal climate. With 60.8 million inhabitants, it is the fifth most populous country in Europe, and the 23rd most populous in the world. Fort Lee, NJ, 07024, USA.